Written by Liedewij de Ruijter de Wildt, member of staff of our partner Nidos, the Dutch national organization for unaccompanied minors. Unaccompanied minors in the EU find themselves in a variety of different situations, ranging from seeking asylum or protection to being victim of trafficking, looking for a better life or in search of family members. Regardless of their nationality or immigration status, they are children and should be treated first and foremost as children, with their common rights to special protection and assistance respected under UN instruments, EU Law and EU policy. According to the preamble of the CRC, for the full and harmonious development of his or her personality, a child should grow up in a family environment, in an atmosphere of happiness, love and understanding. Children who are temporarily or permanently deprived of their family environment are entitled to special protection and assistance provided by the state. Otherwise, alternative care should be ensured through foster care, kafalah of Islamic law, adoption or placement in suitable institutions that care for children. When considering solutions, due regard shall be paid to the desirability of continuity in a child’s upbringing and to the child’s ethnic, religious, cultural and linguistic background. There is a general consensus amongst stakeholders in the EU that foster care is better for most children. The fact that it is generally less costly than institutional reception presents an extra opportunity to reach commitment. At this moment however, only a proportion of unaccompanied and separated children in the EU live in family care. The majority are placed in institutional reception provisions. Nonetheless, practices exist to make use of reception provisions within families. Until now, the knowledge of these practices and approaches in different countries has been incidental and scattered. Nidos, the Dutch guardianship institution for unaccompanied minors, aims to promote Reception and Living in Families (RLF) by increasing knowledge of it, connecting stakeholders in Europe, promoting good practice and offering strategies on increasing it. The RLF-project that Nidos and her partners CHTB (UK) and SALAR (Sweden) carried out in 2013-2015 revealed good practise on RLF and what is needed to take it further according to experts the project team met on the way. Stakeholders interviews were done in nine EU Member States and Norway and a desk research on the other EU-countries and Switzerland was carried out. In two international expert workshops, in the UK and in Sweden, practices were discussed, exchanged and valued. During the first workshop, stakeholders shared good practice and talked about ways to spread it. The second workshop went deeper into how to recruit families and how to provide training for them on taking care of unaccompanied minors. Finally, an international conference on RLF was held in Amsterdam in January 2015 during which findings and possible steps forward were shared with 115 stakeholders from 23 European countries (21 Member States and Norway and Switzerland). 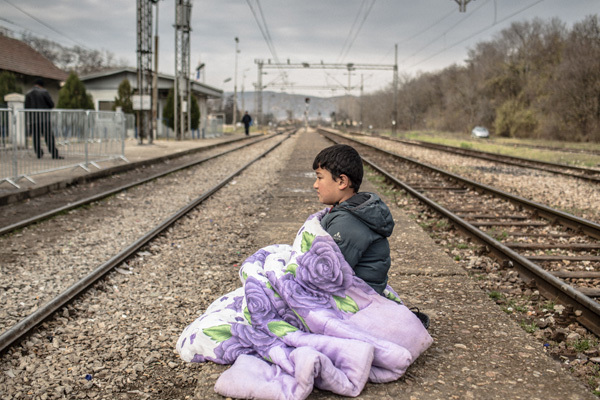 There are 16 European countries (14 Member States and Norway and Switzerland) that offer RLF to unaccompanied minors. Most of these have scattered practice. This means that public, private or voluntary bodies are involved in the placement of a minor within a family, which in its application differs nationally, regionally or locally between communities. Scattered practice has been found in Austria, France, Germany and Italy, where practice differs a lot from one region or federated state to another, as they all have their own legislation on youth care and basic welfare for asylum-seekers. All of these countries have very good examples of RLF on a local level, for instance in the City of Graz in Austria, in the Department of Pas-de-Calais in France and the federated state of Lower Saxony and the City of Bremen in Germany. In Italy, the Municipality of Venice provides foster care to 50% of the unaccompanied minors they are responsible for, mostly kinship care. Scattered practise on RLF was also found in Belgium, Luxembourg, Denmark, Finland, Portugal, Spain and Switzerland. Some of the countries do have a more structured system in place. These are characterised by the involvement of a mandated or state-certified public, private or voluntary body (at a national, regional or local level) in the placement of a minor within a family. In theory, it is a regulated and/or consistently applied framework within a specified geographic or administrative area where the family is at least responsible for the day-to-day care of an unaccompanied minor in their home and is paid a salary and/or remunerated for expenses, rendering them accountable. Structured systems have been found in Ireland, Norway, Sweden and the UK, although not all children in need of RLF benefit from it in these countries. This is different in the Netherlands, which also has a structured system. A special system on delivering RLF to unaccompanied minors is available within Nidos. This system is accessible to all of the children Nidos is responsible for if they require it. As Nidos recruits its own (ethnic) foster families and therefore is not dependant on the general Dutch foster care system, the Netherlands is the only country that does not face a lack of suitable families who are willing to take care of unaccompanied minors. In countries that do offer RLF, it can be divided into traditional foster care provided by families that are not known to the child and kinship care provided by family members or the extended network. Denmark and Finland for instance do not provide traditional foster care but only use the alternative of living in kinship care with family members. Other countries use both. One of the challenges in most countries that use kinship care is the fact that the children go to live with the family directly and do not therefore enter the child care system. In principle, kinship placements are positive if monitored and supported, but informal kinship placements carry a larger risk factor and should therefore be formalized. A distinction can also be made between the use of indigenous families and the use of ethnic families with different cultural backgrounds. Except for practice in the Netherlands, using foster carers with different cultural backgrounds is not the norm, though some of the countries do use both indigenous and ethnic families. Indigenous families taking care of unaccompanied minors often experience cultural differences and language problems which sometimes cause breakdowns in the placement. Those countries that are experienced with the use of ethnic families report this to be promising. All countries that provide RLF reported a need to develop training for both indigenous and ethnic foster families. Working with these children is not only about different backgrounds and speaking different languages, but also concerns issues like the effects of living in between cultures and coping with trauma or loss. Preparing foster families on these themes can ameliorate the care provided and decrease breakdowns. Social workers, reception professionals or – sometimes – guardians who are responsible for counselling reception/foster families for unaccompanied minors are also in need of tools and specialized training on how to work with this group of children. In most member states that were investigated during the desk research, RLF does not exist and in some of them there is hardly any discussion going on about accommodation or placements for unaccompanied minors. This is for instance the case in Bulgaria, Hungary, Malta and Romania. In Cyprus, Croatia, Czech Republic, Greece, Latvia, Lithuania, Slovakia and Slovenia, all children including unaccompanied minors should have a right to move to a foster family according to the law, but in practice this does not happen with foreign children. There is no foster care system available for them in these countries. In some of these countries NGO’s try to change this. The fact that these countries have had low numbers of minors entering them over the last few years, creating free spaces in facilities for foreign children, however is said to pressurise the system into not putting them into foster care. Foster care is also the preferred option for foreign children in Poland. In contrast to the countries just mentioned, the custodian court (being responsible for placement) places most non-asylum seeking unaccompanied minors in family like surroundings by means of a list of possible families it is provided with by the municipality. Some families are of the same origin as the minor, but most are Polish. However, current practice is that foster care is not an option for those unaccompanied minors who sought asylum. These children live in institutions. Worth mentioning is Estonia, where amendments to the Social Welfare Act that entered into force in April 2013, provide the same types of reception to unaccompanied minors as to other children, with a preference for foster families and substitute homes. Good practice is the fact that SOS Children’s Villages has provided alternative care for unaccompanied minors since the end of 2013 and has had a contract for several years, one of the conditions of which being that either a foster family or a family-like substitute home will be provided. The fact that most unaccompanied minors live in institutional care in the countries mentioned above is mostly due to practical reasons where youth care and asylum/migration systems mismatch: insufficient knowledge on how to increase quality and quantity of family care for this target group, good practices not reaching beyond the local level where they are developed, financial and organizational structures that do not support development of alternative family care explicitly. There seem to be hardly any ideological or budgetary objections to reception in families. The RLF-project partners found that there is an interest in and a need for cooperation, exchange and training on RLF. European providers of reception and care from different countries have much to learn from each other. Providing RLF to unaccompanied minors has many similarities as the content of the work in practice differs only to some extent between Member States. The common set of principles set out in the UN Convention on the Rights of the Child (CRC) aligned with Member State child welfare, protection and fostering systems indicate that a communality of services is possible and that coordinated development of capacities would be beneficial. As the group of unaccompanied minors differs enormously from state to state, both in size and in characteristics, a one-fits-all foster care system applicable in all Member States will not work. Child protection systems in EU-member states do differ. Therefore, setting up a system that fits the specific Member State is key. RLF is a way of accommodating unaccompanied minors that links to both the system of asylum reception and the youth care system. Taking into account the existing situation in a Member State in both fields and the characteristics of the group of unaccompanied minors present, solutions for setting up a suitable system can either involve moving the youth care system towards RLF or enlarging the existing asylum reception system with RLF. In order to develop a system, looking at all levels of responsibility, in particular the national governments, is advised. It is recommended to copy successful existing practise or promote preferred models and develop a practice document. Saving budget for a national approach as costs are so scattered amongst different actors could also be helpful. As there is a general lack of foster families, recruitment is an issue that should be addressed as well. Special focus on recruiting families from other communities and with different ethnic backgrounds will be helpful. As will making kinship care part of the child care system where this is not common practise yet. In order to monitor the effectiveness of campaigns and changes to any guidelines or policy it would be helpful to establish benchmarks through the collection of data on the number of unaccompanied children in receipt of various forms of foster care (or other placement types). It is also recommended to build upon the existing knowledge base available that highlights the positive impact of foster placements, the ways in which cultural and network families have important roles to play and use these to best effect in order to initiate change. Stimulating improvement of the system, for instance by organizing client participation of both foster families and minors can be helpful. The same goes for stimulating research on the effects of RLF on the well-being of children. An important step forward that will help to increase (knowledge on) RLF is the ALFACA-project that Nidos started, in cooperation with 5 partners, in October 2015. As highlighted before, professionals who are responsible for counselling reception/foster families for unaccompanied minors reported being in need of tools and specialized training on how to support these families on how to parent children with the specific needs of an unaccompanied child and to help them raise children between cultures. The ALFACA-training that will be developed during the project will provide professionals with the tools needed and will also teach them how to use these tools. The training will be available at the end of 2016/beginning of 2017. Those who are interested in this training are recommended to keep an eye on information given on the website www.engi.eu or to get in touch with the manager of the ALFACA-project within Nidos, Liedewij de Ruijter de Wildt (email: l.deruijterdewildt@nidos.nl).